Sold in pairs or singles. Use on front or rear bumpers. 3" X 2" bolt pattern. 4" X 3" outer dimensions. Includes 1/2" Grade 8 hardware. Ideal for use with a recovery bridle. Note: Use only on a well-made off-road bumper. (click image for large view) . Our Heavy-duty bumper shackle mounts fit every make of off-road bumper including brand-name bumpers (ARB, TJM), and custom-made bumpers. Without question, the strongest add-on recovery point you can buy. 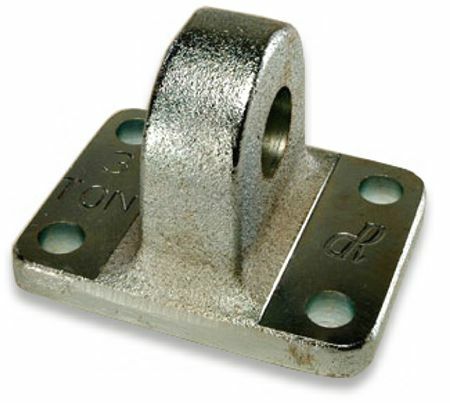 The recommended solution for vehicles without bumper-integrated recovery points, or solid frame-mounted recovery points (Factory tie-downs are not recovery points). Grade 8 mounting hardware included. .
* Includes sales tax where applied . Note: For bumpers thinner than 3/16" steel, we recommend using a backing plate slightly larger than the dimensions of the shackle mount behind the off-road bumper when bolting on the shackle mount. 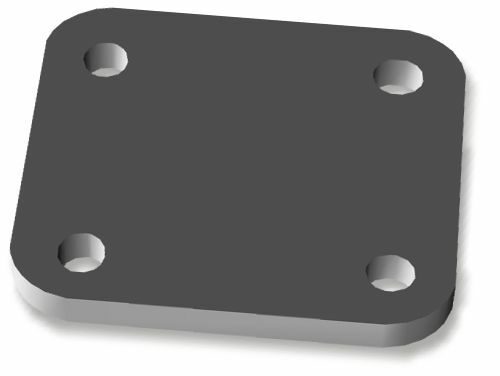 See our backing plates below. 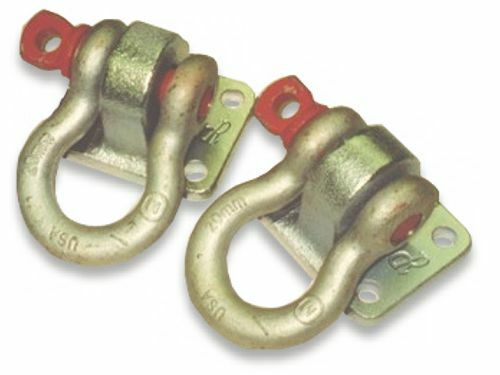 1/4" wider than shackle mount. 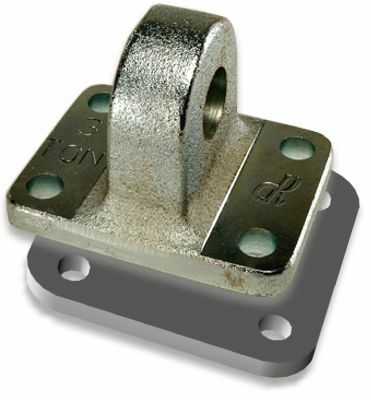 Accepts our Bumper Shackle Mounts. Note: Use only on a well-made off-road bumper. .
For bumpers thinner than 3/16" steel, we recommend using our backing plate, which is 1/4" larger than the dimensions of the shackle mount. 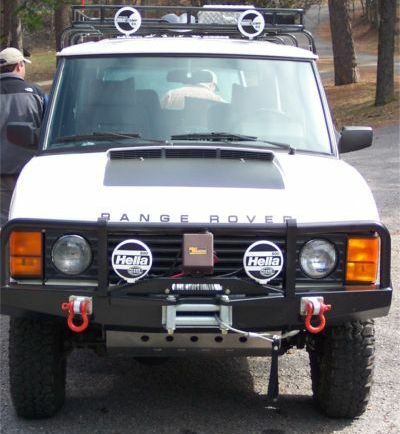 The plate has the same bolt pattern, and mounts behind the off-road bumper when bolting on the shackle mount. The plates are shipped ready to be painted. Here it is pictured with grey primer. .
See descriptions of our Bumper Shackle Mounts and Backing Plates in the sections above. . The all-in-one recovery kit, w/ heavy-duty gear bag. . The recovery kit, for extreme conditions, w/ heavy-duty gear bag. .
Our screw pin anchor shackles meet the high performance requirements of Federal Specification. U.S. and import - all sizes. .
Disclaimer. Please read: The effectiveness of this equipment is directly related to the manner in which it is installed, used (for off-road use only), and/or maintained. Proper installation, use and maintenance is solely the responsibility of the installer/user, and will not be assumed by Billet4X4.com.